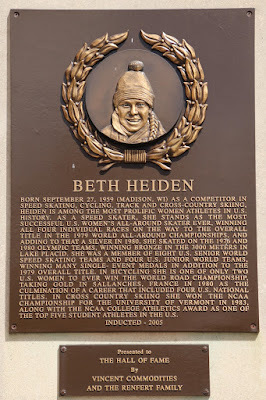 Born September 27, 1959 (Madison, WI) as a competitor in speed skating, cycling, track and cross-country skiing, Heiden is among the most prolific women athletes in U.S. history. As a speed skater, she stands as the most successful U.S. women's all-around skater ever. Winning all four individual races on the way to the overall title in the 1979 World All-Around Championships, and adding to that a silver in 1980, she skated on the 1976 and 1980 Olympic teams, winning bronze in the 3000 meters in Lake Placid. She was a member of eight U.S. Senior World Speed Skating teams and four U.S. Junior World Teams, winning many single-event medals in addition to the 1979 overall title. In bicycling she is one of only two U.S. women to ever win the World Road Championship, taking gold in Sallanches, France in 1980 as the culmination of a career that included four U.S. National titles. In cross country skiing she won the NCAA championship for the University of Vermont in 1983, along with the NCAA College Athletics award as one of the top five student athletes in the U.S.
and Spaarnestad Photo, donated in the context of a partnership program. 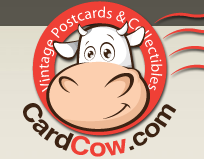 Creative Commons Attribution-Share Alike 3.0 Netherlands license.